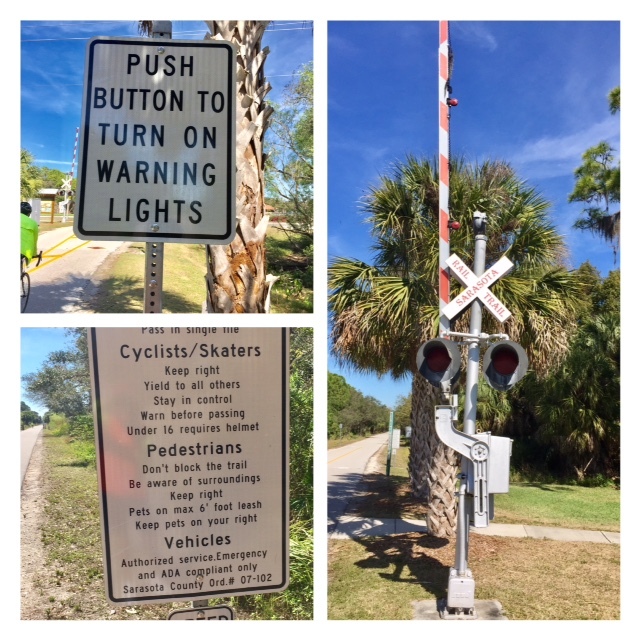 Friends of The Legacy Trail has donated a new, more accurate, trail counter to the County Parks Department to monitor traffic on The Legacy Trail. 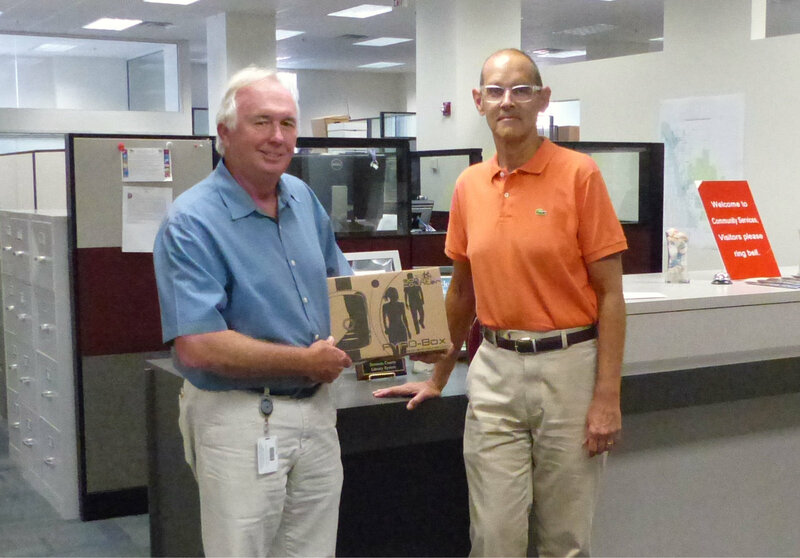 Pictured, Jon Robinson, Division Manager, Natural Area Parks, Preserves and Trails (left), receives the counter from John League, President, Friends of The Legacy Trail (right). 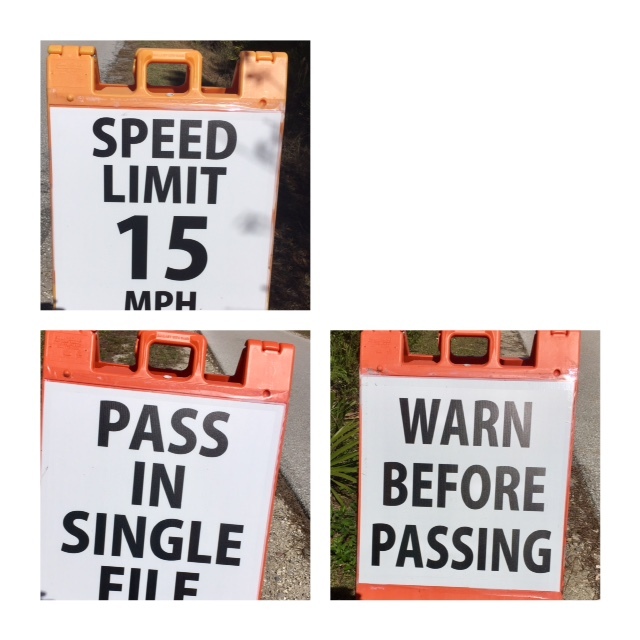 FLT has performed two surveys in the past year to evaluate trail usage and user characteristics. The results of these surveys and analysis were recently used to increase the calculated trail usage from 120,000 to 175,000 users per year. Another finding from these surveys was that the currently-used trail counters are significantly under-counting trail usage. An investigation of alternative counting devices and technology led to the selection of the more accurate Eco-Counter device donated by FLT to the county. We have many types of along The Legacy Trail. Some are for safety, some are for information, and some are historical. Here are collages of some of them. 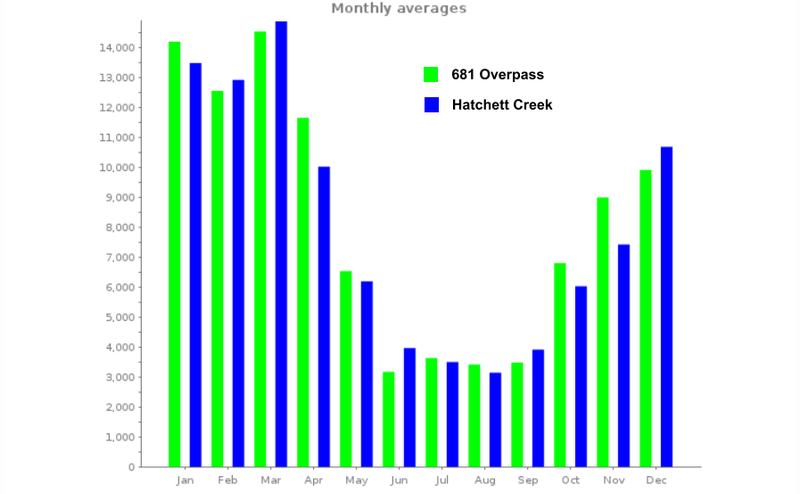 Are you one of the estimated 175,000 annual users of the Legacy Trail? Probably so, if you are reading this. Great news! There were 55,000 more of you on the Legacy Trail in 2016 than the 120,000 reported in each of the last few years. Many of you have asked us why the number of trail users has seemed to, well, stagnate when it appears there is a growing number of people enjoying the trail. We wondered about that also, which prompted us to do a year long deep dive study on the three TRAFx brand passive infrared counters used on the trail to gather raw data, and the algorithm used to convert the raw data to an annual users count. FLT purchased and installed the counters in 2012. In short we combined online and on-the-trail surveys of the type of users (e.g., cyclist, runners, walkers), the most frequent entry points to the trail, the typical distance traveled (length of trip, and whether it was one-way or round trip on the trail). A FLT member with considerable professional statistical experience was unable to find a suitable mathematical model, so he developed one. Warning, the math is not for the faint of heart! We also calibrated the counter data with actual observations, noting that closely spaced users were not being properly recorded by the counters. As recommended by the TRAFx counter manufacturer, we applied an adjustment factor to the counter data. Click here to see the FLT letter to the County Commissioners and supporting details. While it is great news to recognize the much higher number of annual users of the Legacy Trail, the 175,000 annual user estimate remains very conservative. Anecdotal evidence suggests the passive infrared counters may also be unable to accurately distinguish a human with a body temperature of 98.6 degrees passing up to ten feet away when the ambient temperature here in Sarasota is often in the 80s and 90s. We will continue to examine this issue. In the meantime, enjoy the trail knowing that you are one of 175,000 annual users. 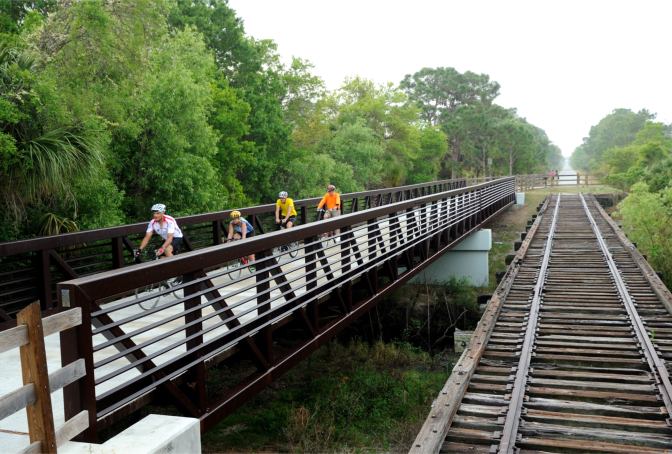 This higher user count adds considerable support to efforts to extend the trail to downtown Sarasota. Surrey Bike Ride Tour Pedalers – Wednesdays and Thursdays, 1 hour shifts between 8:45 a.m. and 12:45 p.m.
Surrey Bike Ride Greeters – Monday through Thursdays 1.5 hour shifts between 8:45 a.m. and 12:15 p.m.
OJT Trail Head Landscape Cleanup – Thursdays – 8:30 to 11:30 a.m. Ambassador Patrol – Ongoing throughout the year – daylight hours – as available. Logo Merchandise Coordinator – Ongoing throughout the year – flexible times. Adopt a Kiosk – Ongoing throughout the year – flexible times. Photographer – Attend events as available throughout the year. For more information contact our Volunteer Coordinator Rita Miotti by clicking here. 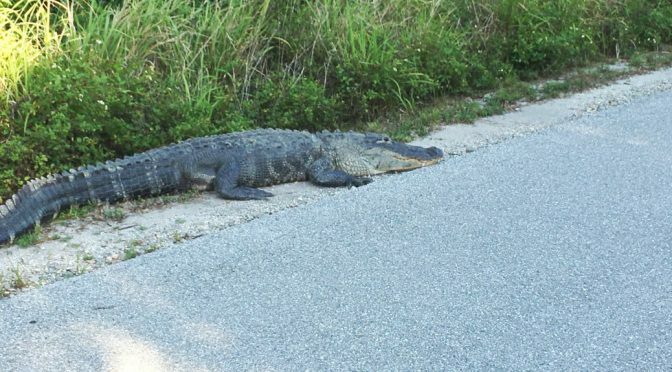 It’s a Gator on The Trail! There was nothing but blue sky, temps in the high seventies, light wind, and few other riders when I left for a late afternoon solo ride on the Legacy Trail. It was easy to drift into deep contemplation while spinning easily. Thankfully, my subconscious kicked in as my brain registered a unusual object ahead on the side of the trail at the 4.2 mile point of the Legacy Trail. YIKES. It’s a GATOR. ONE BIG GATOR. Just laying there on the shoulder, head tucked onto the trail. I rode briskly by, ceding all the width of the trail possible, then stopped at what I hoped was a safe distance to take these pics. I saw another cyclist approaching and flagged him to the far side and full stop. The gator never moved, seemingly in his own deep reverie. I’ve seen gators sunning along the shore of storm water ponds visible from the trail, but this is the first time I’ve seen one ON THE TRAIL. They are WAY bigger up close than when viewed from a distance!!!!!! I called the Sheriff’s office and they said they’d immediately dispatch an officer and wildlife trapper. Riding on the trail keeps you safe from cars, trucks and motorcycles. Nonetheless, always be aware of your surroundings. Wildlife can be dangerous and unpredictable if spooked. I’m always amazed at what I see along the trail. Today, that was especially true. 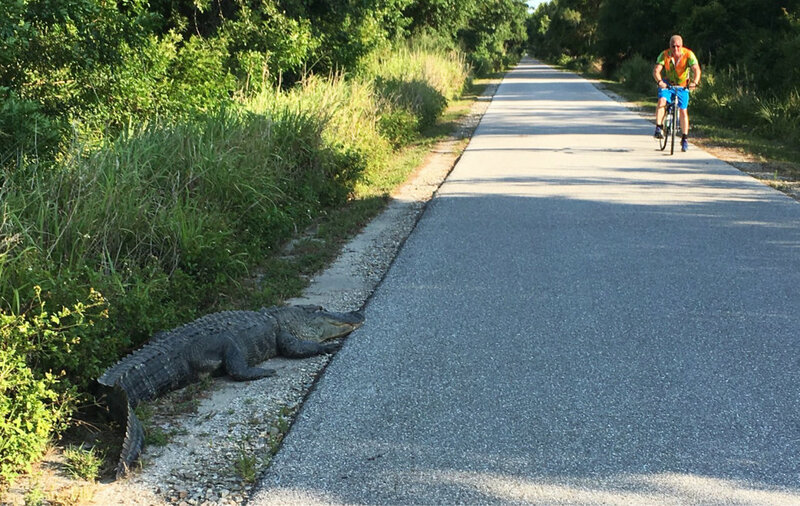 Nevertheless, this gator must be commended for demonstrating good trail etiquette: when stopping, always stay to the side of the trail. Bike Florida and The Best Volunteers Ever! 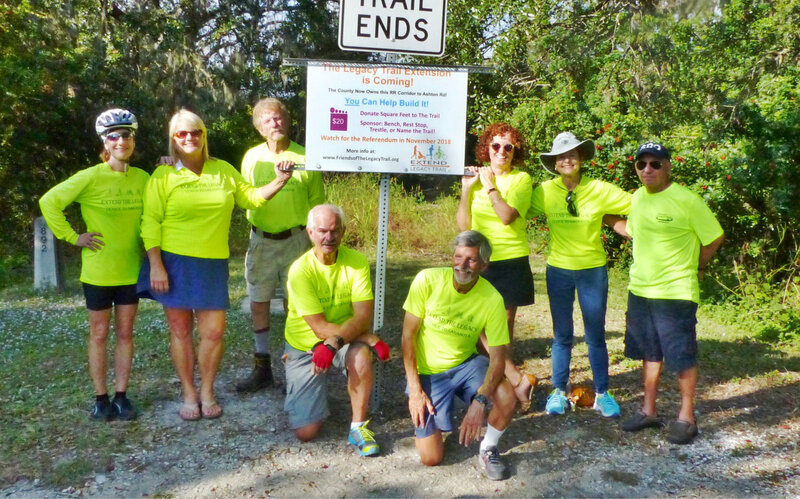 Last summer, Bike Florida offered us the opportunity to make $2100 to put to good use on the trail or towards the trail extension by offering us the opportunity to work some of the rest stops for their recent week-long “Surf and Turf” event April 9-15th here in the Sarasota Area. 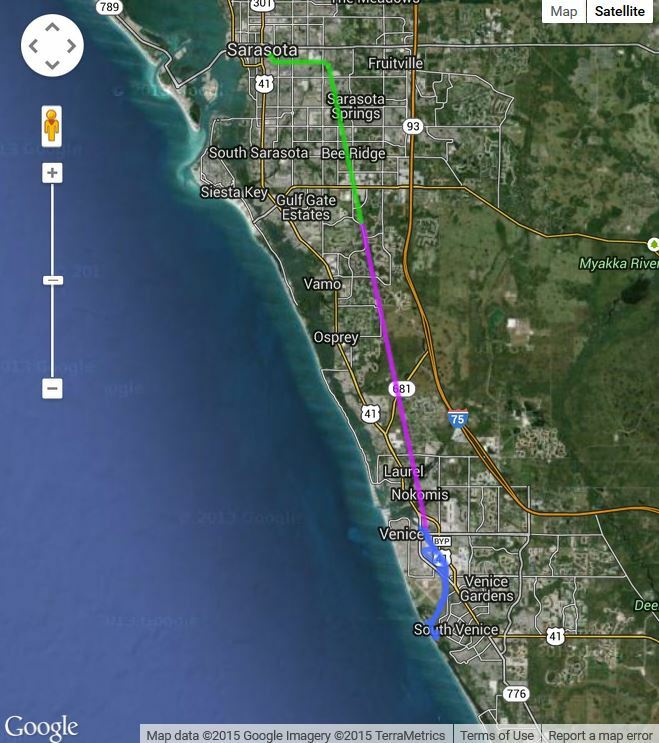 The plan was for cyclists to start in Arcadia, ride to Sarasota, south to Venice, then Englewood, finally returning to Arcadia. Being optimistic, we chose to do 7 rest stops in 2 days. 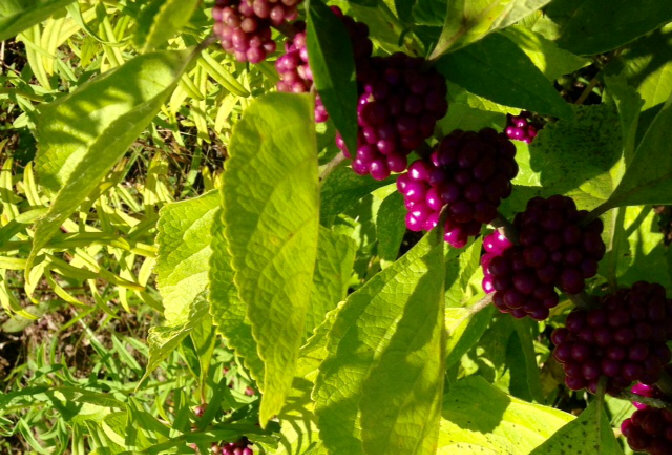 Tuesday, April 12: Siesta Key Beach, Jungle Gardens, and Ken Thompson Park. On Wednesday, April 13: Blackburn Point Park, Venice Trail Depot, Maxine Barrett Park and Manasota Beach. After only one email from Rita Miotti, Volunteer Coordinator, our wonderful volunteers answered our call and readily volunteered to work these positions. There was not a single no show for the event! We started early in those mornings, lugging water and food, then had fun making PB&J sandwiches, cutting fruit and caring for enthusiastic cyclists until early afternoon. Then packed it all up before heading home. Rita reported that she received so many compliments on how helpful and friendly the volunteers were and the rest stop experience in general. Tuesday evening, Max Corley presented our Power Point Talk about The Legacy Trail to an audience of about 100 riders in Robarts Arena. We also had an opportunity to have an info table during this event. 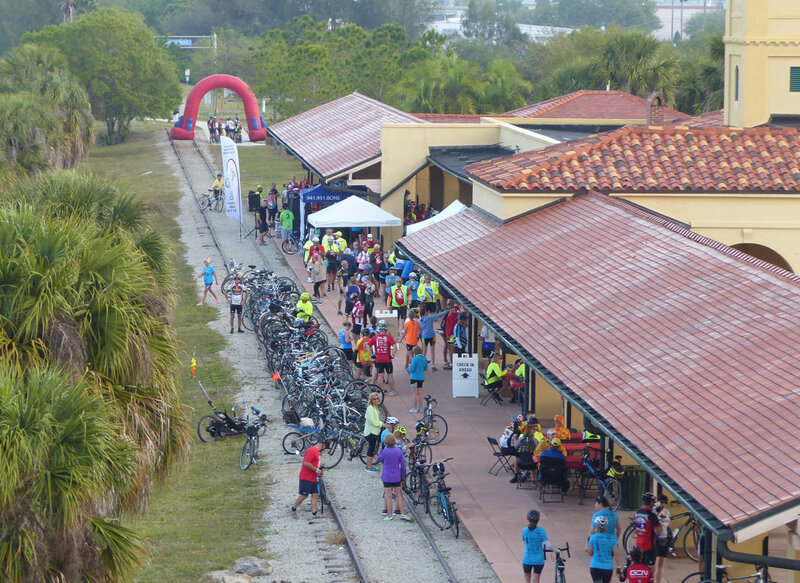 Another one was held at the Venice Depot next morning after riders had the opportunity to experience riding The Trail first hand. Along with having fun working together and chatting with cyclists, Bike Florida’s event provided our organization with a $2,100 donation as well as numerous new memberships and revenues from the sale of FLT logo items. We collected 276 new petition signatures, almost all from out of town. In addition, our involvement created incredible new excitement about The Legacy Trail! Many Thanks again to Rita Miotti and our Wonderful Volunteers! 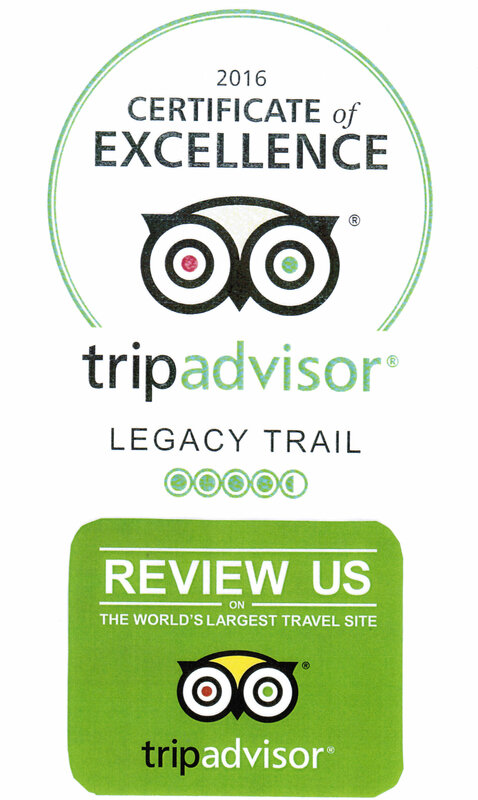 Are you looking for a way to help Friends of the Legacy Trail as well as local businesses? Do you have a favorite business (restaurant / shop / service) which you think could benefit from having an ad on the FLT website? If so consider joining the FLT Marketing and Promotion Team as the Business Member Liaison. In this role, you could ask your favorite business to become a Business Member of FLT. 2. 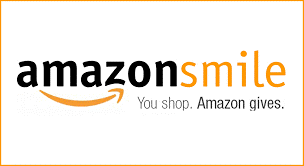 For free by offering our members a discount on goods or services. Either way the business gets advertising on our site and has their name in our newsletter in a small article welcoming them. In addition, each month their name will appear a banner in our newsletter along with our other business members. 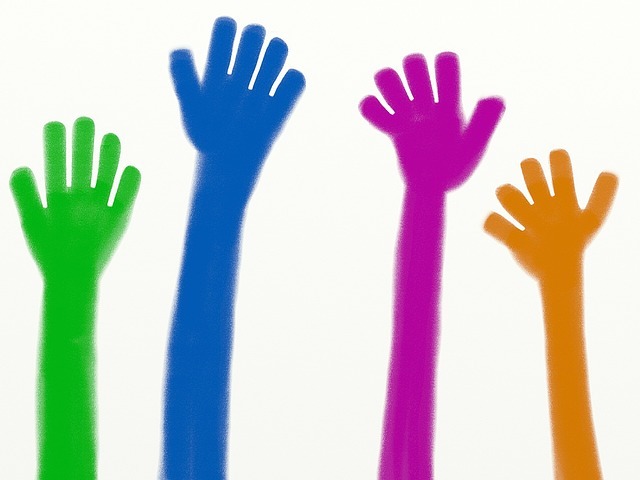 In addition, you would contact our current Business Members and ask if they are interested in continuing their membership for another year. If this appeals to you, please contact us here. The Dedication Ceremony for Legacy Park will be held on Monday, February 1, 2016 at 10 a.m. The newly constructed Legacy Park is located at 395 E. Venice Avenue, Venice, FL, next to the historic Venice Train Depot. 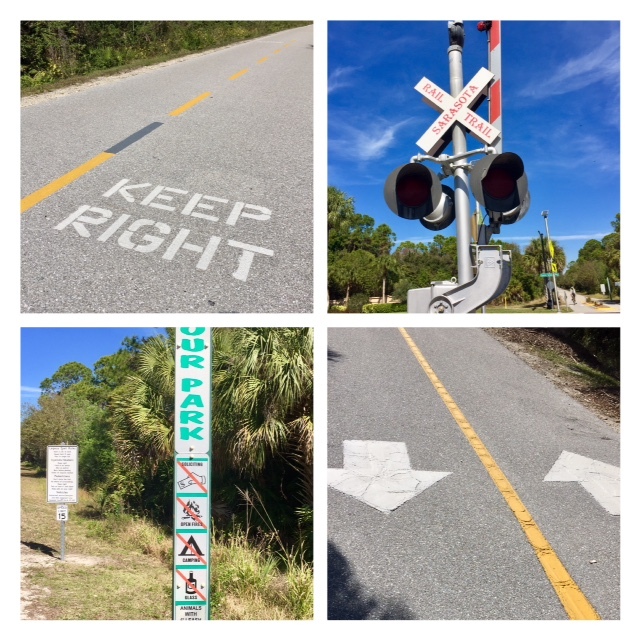 Legacy Park and the restored train are located at the junction of junction of two multi-use paved trails: the 10.6 mile The Legacy Trail and the 10 mile Venetian Waterway Park (5 miles long on each side of the Intracoastal Waterway). Legacy Park offers multi-use recreational opportunities. A kayak/canoe launch allows access to the wide expanse of the Intracoastal Waterway as well as the more intimate confines of Hatchett Creek. Opting for the latter, paddlers will feel transported back in time as they travel through a dense canopy of native white, red and black mangrove trees and view other natural Florida landscape features. A two station kayak/canoe wash station provides a quick cleanup at journey’s end. There are pervious parking areas for vehicles and boat trailers. The design provides parking spaces while still allowing water infiltration and reducing surface water runoff into the creek. The city of Venice acquired the ten acre abandoned industrial cement plant site in 2008 for $7.4 million using funds from the voter-approved one-cent sales tax surcharge and a grant from the Florida Communities Trust. The city developed a comprehensive redevelopment plan in coordination with Sarasota County during the intervening years and demolished all the buildings on the site and restoration of the Hatchett Creek shoreline. Just over $2 million was spent on design, permitting and construction of the new park using funds from Sarasota County, Park impact Fees; Land and Water Conservation Fund, Recreational Trails and Florida Coastal Management Programs. Future plans include a train themed covered playground and additional landscaping. Sarasota County will assume all future operations and maintenance needs for the city owned Legacy Park though an inter-local agreement.